In a crowded technology landscape, it's becoming increasingly important for channel partners to develop their own unique identity with value-added services. But in a competitive industry, is it possible to streamline this process and make it easier for partners to differentiate themselves? With the development of CloudBlue, Ingram Micro’s newly launched cloud commerce platform, service providers can now distribute digital services with relative ease, be it cloud services, or anything else as-a-service. “All the billing, the rating, the metering, the subscription management, all of those things are done by the platform,” said Lincoln Lincoln, vice president of APJ at CloudBlue, when speaking exclusively to Channel Asia ahead of Ingram Micro One in Singapore. “We sell that platform to the telco, or the distributor, or a reseller that wants to be able to distribute cloud services at scale, which they can then white label as their own and then go to market." According to Lincoln, CloudBlue is considered an independent software business under the Ingram Micro umbrella that operates autonomously. The division has its roots in the formation of Ingram Micro Cloud back in 2009, which changed the tech giant's modus operandi from a traditional distributor of hardware and software to a distributor of digital services through the cloud. “There are a lot of challenges with selling cloud services,” said Lincoln. "It is not easy to bill, rate and meter those kinds of services that are obviously consumption based so Ingram Micro tried to build their own platform." Over the course of nine years, the distributor made a number of acquisitions culminating in the launch of CloudBlue in 2018. “All these assets were brought together to form CloudBlue,” said Lincoln. Instead of going straight to a vendor for purchasing, a partner has the advantage of aggregating products from the likes of Microsoft and Amazon Web Services, while offering a complete solution with value-added services. However, anyone who sells cloud services knows it is notoriously difficult to onboard such a service into their own system to be able to sell it. “When I was at Symantec we knew if we wanted to distribute Norton through for example Singtel or StarHub,” explained Lincoln, "that it was probably going to take us six months worth of integration into their operational support systems and about half a million dollars to complete. "For a Singtel or a StarHub or any telco times that one integration for Norton by every other ISV, every other cloud service that they want to offer, it would never get to market. It would take forever. "What we do is we bring a platform that has all of those ISVs already pre-integrated, allowing service providers to go to market very quickly, reducing their cost to serve and their ability to distribute at scale." In fact, there are over 200 cloud services already on-boarded into the CloudBlue platform and as an open platform, the application packaging standard (APS) is used. “For every ISV, there is an APS package, which is what allows partners to link a service to the platform,” said Lincoln. "Very often a telco would not want to bundle Office 365, for example, with a core service like domain registration. “By leveraging that APS package it allows the telco/partner to onboard their own services and bundle it with some of those 200 odd other ISVs and go to market like that." There are three stakeholders for such a service, including the ISV, provider and the end-user, each benefiting in different ways. “The ISVs benefit because they only have to create one APS package and all of a sudden everyone who uses the CloudBlue platform can become a potential distribution channel for them,” said Lincoln. “Everyone that uses the CloudBlue platform can leverage that same integration." What this means is just one integration is necessary for all users of the CloudBlue platform, with partners then able to leverage that same integration. According to Lincoln, this greatly reduces the integration effort needed for ISVs to distribute through many channels. The second set of stakeholders are providers. "Providers benefit because we give them an ecosystem to sell and we reduce their cost to serve,” said Lincoln. "Trying to build the same platform themselves would be very expensive and we allow them to turn on their channels. "Maybe they sell through resellers or they sell online, our platform allows them to leverage all these different distribution channels. That is why we say we allow them to distribute at scale." Furthermore, Ingram Micro is also a customer of CloudBlue, using the platform as the foundation for the distributor’s cloud marketplace. The last set of stakeholders is the end-user; the businesses who want to buy those cloud services. From a technology standpoint, there are three parts to CloudBlue; the ecosystem, the technology platform and the go to market. To help partners in their go to market phase, Ingram Micro has developed the Cloud Awesomeness Roadmap; a set of best practices to help providers develop a successful go to market strategy. “We can give them the best platform in the world but unless they have got an astute go to market plan they [partners] are not going to be successful,” said Lincoln. “The Cloud Awesomeness Roadmap is all about helping them be successful. It is about best practice." Lincoln explained that best practice may include the type of bundles partners should provide and the pricing strategy, as well as the services ISVs should be selling in their catalogue. "Keep in mind a third of the world’s largest telcos use the CloudBlue platform,” said Lincoln. Lincoln explained that the CloudBlue platform was not a change of direction for the company but a well planned move with its roots in the formation of Ingram Micro Cloud back in 2009. “Ingram Micro is a distributor at its core,” said Lincoln. “Whether we are distributing using the Ingram Micro brand - Ingram Micro Cloud marketplace - or distributing through telcos or other distributors it just gives us more reach. “It [CloudBlue] was a well-planned strategy that was designed to help Ingram distribute at scale." The availability of Cloud services has its advantages but in some cases, it has also saturated and confused the market with many options. Distributors like Ingram Micro and channel partners have a role to play in helping simplify and streamline the market through better engagement between end-users and vendors. “We have brought simplicity to our own product line through rationalising down a number of platforms and products into one clean new identity,” said Lincoln. "There are lots of cloud services out there. We give the service providers access to those options through our ecosystem. “We work with our partners. The answer is not a marketplace full of 60+ software-as-a-service (SaaS) applications. "It is refined and curated to bring a set of relevant applications that the provider believes will serve the majority of the market." 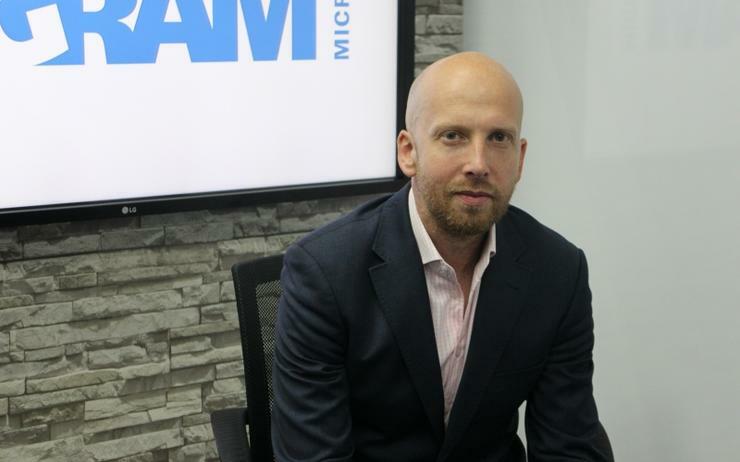 Lincoln said a partner that has the potential to bring in new customers and scale is one that Ingram Micro has a particular interest in doing business with. "A telco that has the market reach in their traditional core telegraphy services is a great partner for us,” explained Lincoln. “They have got that reach in advance. “We give them more things to sell. We believe in a future that is anything as a service,” said Lincoln. “For us, the future centres around delivering anything as a service; not limited to just cloud." According to Lincoln, the Ingram Micro platform is "open, agnostic, and modular". "Partners can use the billing engine, but not the marketplace if they choose," Lincoln explained. "Helping partners scale is critically important. "What we are interested in is the number of tractions that go through the platform. We operate on a revenue sharing basis. "It is in our interest that our providers are successful. If partners are not selling then we are not being successful either."